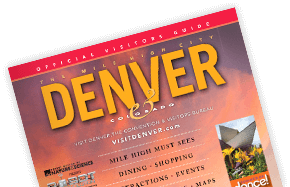 As a partner of VISIT DENVER, you have access to a number of great benefits, including advertising & marketing opportunities and timely industry news and research. Become a partner today! Tourism news and resources, including the Marketing Advisory Council Presentations, six-month convention calendar, Partner Directory and annual report. Interested in partnering with VISIT DENVER?